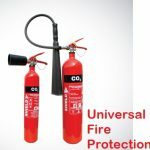 Universal Fire Protection offers a wide range of fire pump systems from different fire fighting manufacturer companies that meet every fire protection need, to protect lives and properties throughout changing climatic conditions and weather events. SFFECO fire pumps have been tested in the field so that it will perform perfectly and provides real value and reliability. SFFECO brings its technical expertise to the industry to improve fire protection systems globally. Excel Series standard packaged pump sets includes a wide variety of fire pump units start from 50 gpm size up to 1500 gpm, with the pressure range from 6 bar up to 12 bar. “Excel Series” Fire Pump Unit Controller is the Pump Package brain that designed to Control & Monitor the operation of the Main, Standby, and Jockey pumps Drivers, and makes up pumps for both Manual & Automatic modes, as well as turns pumps drivers ON/OFF under specific conditions. The Fire Pump Package Controller detects signals through set of built-in switches that reflect the system Pressure & Flow status enabling fire pump package drivers(Electrical /Diesel /Jockey) to operate in case of pressure in the system is lower than set point, as well as operating the Standby driver due to power failure and/or substantial drop in pressure. Excel Series Controllers are pre-wired, and factory tested before shipment and made ready for immediate usage. 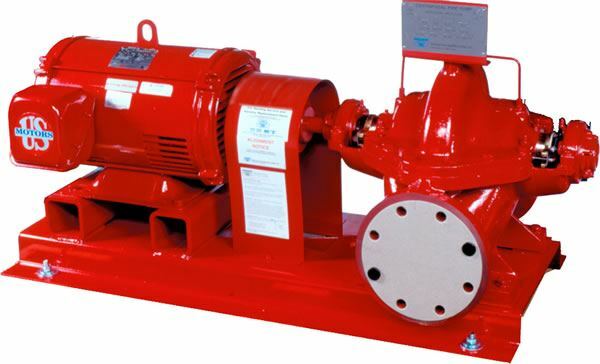 PUMPS Excel Series Standard Packages included a wide variety of Fire Pump Units start from 50 GPM size up to 1500 GPM, with the pressure range from 6 bars up to 12 bars. This wide Range of Pumping & Head Characteristics has Made Excel Series suitable in various market sectors such as; Government Buildings, Commercial and Residential Towers, Warehouses, Factories etc. Universal Fire Protection offers listed Centrifugal Fire Pump Motors with our own Listed and Approved Centrifugal Fire Pumps to package Heavy Duty and High-Quality Compact Skids. 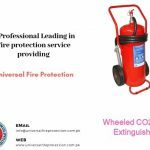 Our Listed and Approved Fire Pumps can also be coupled with any other Listed Fire Pump Motos of any specific brand as per client requirement. Top centerline Discharge transmits residual pipe strain to feet of casing and eliminates the need for left-handed or right-handed casings and impellers. Back Pullout Design supplied with spacer coupling ensures easy pump maintenance without Dismantling. Horizontal Split for easy access, dynamically balanced double suction impellers extend bearing life and ensure smooth operation. Lower initial cost, Rugged construction, Liberal water passages, Efficient operations.